Rare first printing concert poster for Janis Joplin for a show on 25 October 1969 at the Fairgrounds Arena in Oklahoma City. 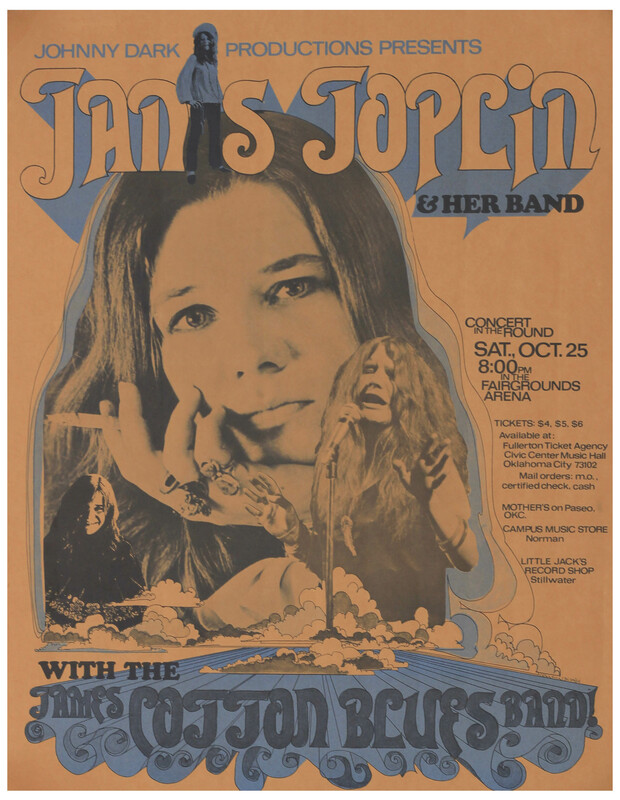 Johnny Dark Productions concert had the James Cotton Blues Band opening for Joplin and her band (the Kozmik Blues), promoted here in the poster designed by R. McIntosh and B.G. Vesper. Attractive poster in orange-brown is coolly accented in metallic blue-grey. 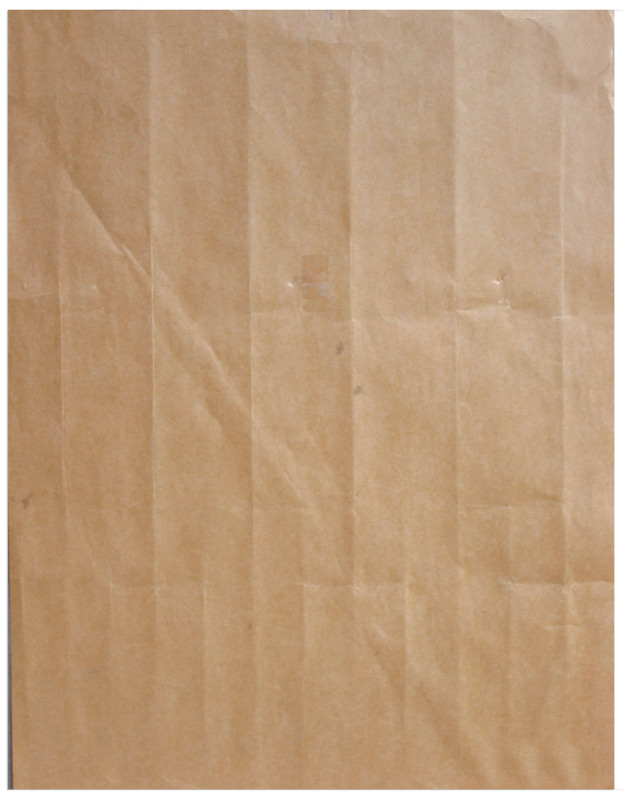 Measures 17.5'' x 22.5''. A few small chips to edges and light creasing. Overall in very good plus condition.